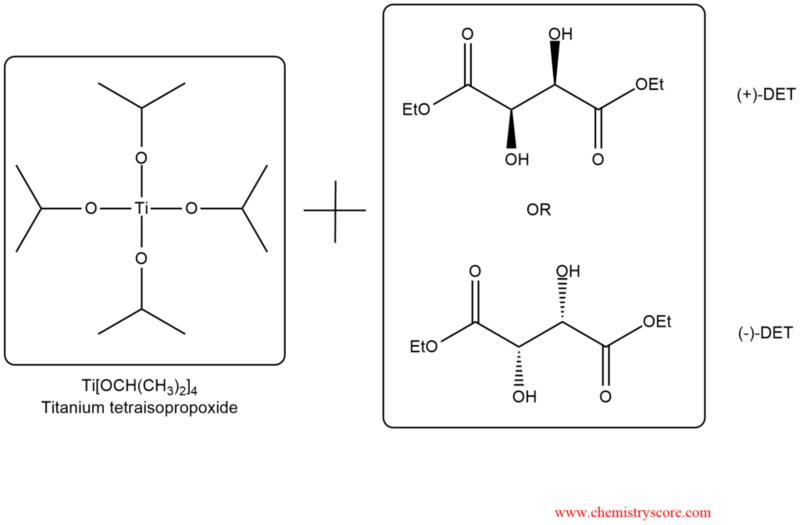 The Sharpless Epoxidation (or SAE, Sharpless Asymmetric Epoxidation) is an enantioselective epoxidation of allylic alcohols. Let’s remember, epoxidation is oxidation reaction of alkenes where cyclic ethers are obtained in which both carbons of double bond become bonded to the same oxygen atom. 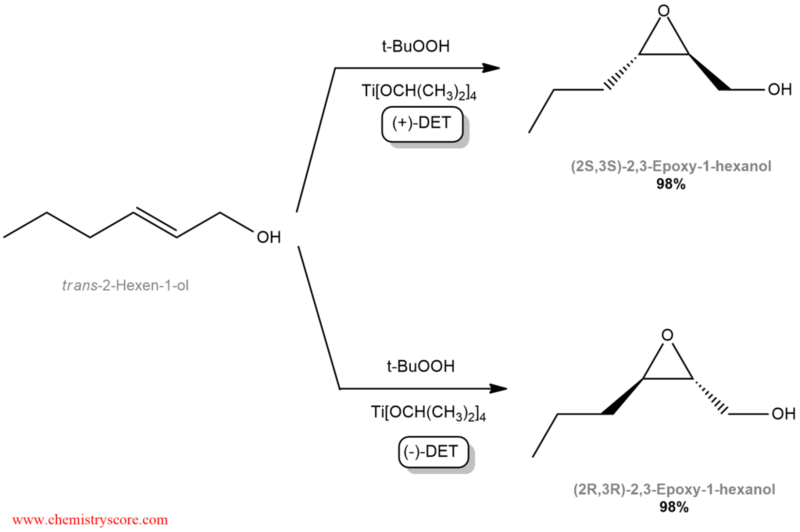 This process is highly enantioselective and is extremely successful for a wide range of allylic alcohol. 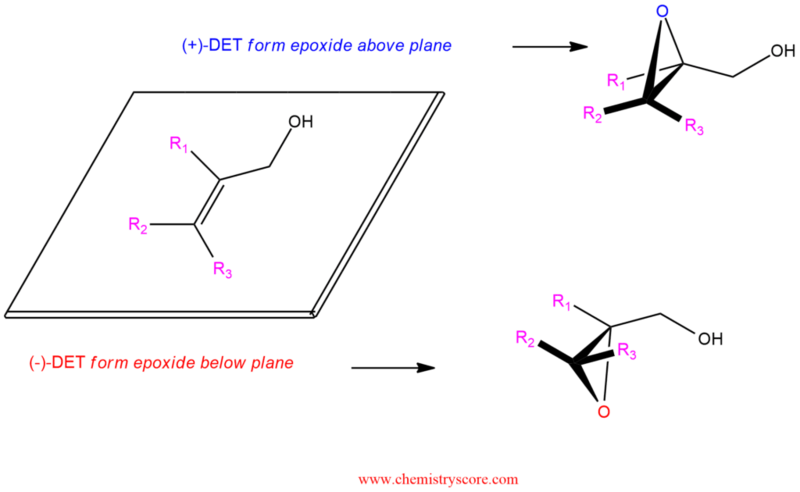 The double bond in the starting material can be mono-, di-, tri-, or tetrasubstituted. 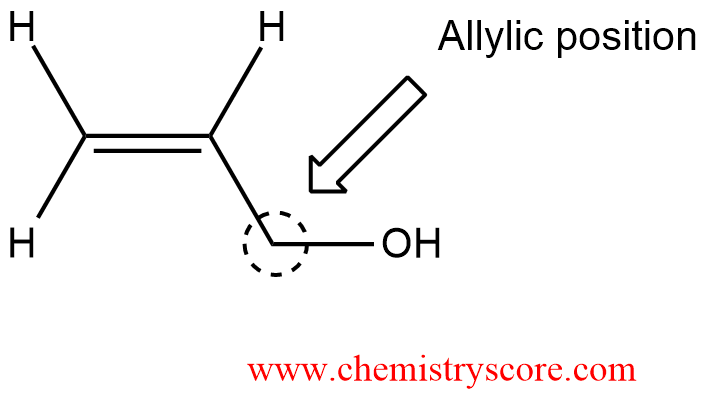 Orient the molecule so that the allylic hydroxyl group appears in the upper right quadrant/corner. 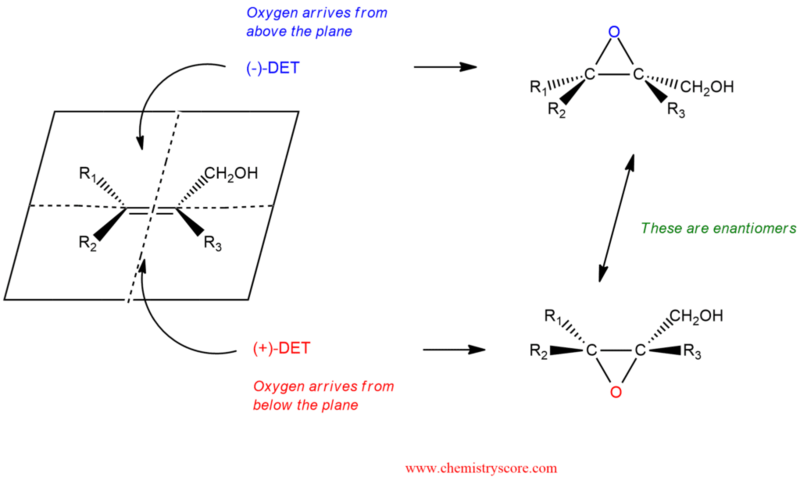 When positioned in this way, (+)-DET gives epoxide formation above the plane, and (-)-DET gives epoxide formation below the plane.